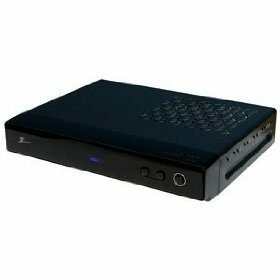 This is one of the best DTV converter box available on the market. Picture quality is excellent although Consumer Reports ranked it among second tier in picture quality. Operation is simple and straight forward. Price is a little high but overall, this is an excellent product. Highly recommended. Excellent picture quality that’s close to what you get from DVD. The quality is actually on par with Channel Master CM-7000 but for some reason Consumer Reports ranked this converter under second tier in picture quality. Above average programming guide with current program title and run time. I BOUGHT A ZENITH DTT901 CONVERTER BOX I CANNOT RESSET THE IMAGE ON MY TV. THE ANTENNA IS GOOD(TRECK INDOOR ANTENNA) I TRIED AVERYTHING NO SIGNAL AT ALL. wHEN I CHECK THE CONVERTER IT’S SAY” REFURBISHED” i WENT BY THE STORE I bOUGHT FROM THEY CANNOT TAKE IT BACK BECAUSE OF THE DATE OF PURCHASE. WHAT I CAN DO? Call Zenith. It has a 1 year warranty. I plugged in the Zenith DTT 901 converter box correctly, yet when everything is turned on, the screen is black and NO SIGNAL flashes on and off on different spots on the screen. What have I dont wrong?